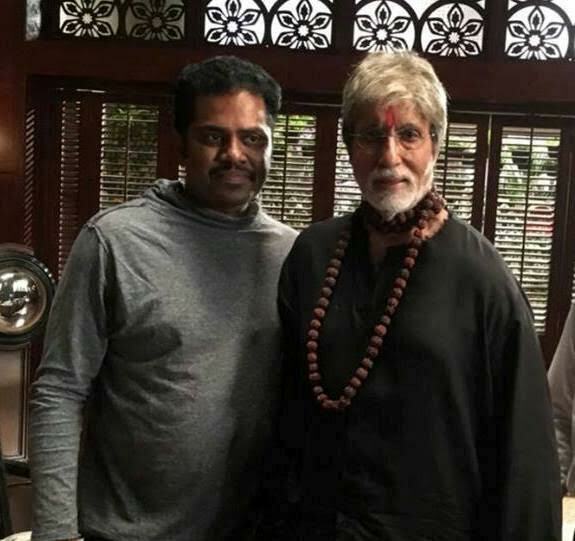 SiraSri's Hindi Song For Amitabh's "Sarkar-3"
We know about the artistes, technicians and directors from the South India working in Bollywood. But for the first time, the Telugu Film Lyricist SiraSri made a debut in Bollywood by writing a song "Thamba" for RGV's directorial Sarkar-3 in Hindi. This is also a debut for South India into Bollywood in the craft of lyric writing. Ram Gopal Varma tweeted: "As a first time ever Thamba song from Sarkar 3 has been written by the Telugu lyricist SiraSri". Responding on this SiraSri said, "It's like a lifetime achievement. It's like an unimaginable dream coming true. Who am I to write a song in a Bollywood film? That too for Amitabh Bachchan? Above all in RGV's Sarkar-3? It happened only because of RGV. As RGV said that he stopped making Telugu films, my journey with him as lyricist would stop. But my inner being did not agree to that. My longing to work with him made me write this. That's all. Whatever Hindi I loved watching Bollywood films and songs, whatever Hindi I learned in my NCC camps in college days...everything has come into use while writing this song". Well, in the time while Rajamouli with Bahubali-2 and K Viswanath with Dada Saheb Phalke made headlines in national level, it is a point of pride for Telugus to see SiraSri opening a new account from South India in Bollywood in the craft of lyric writing.